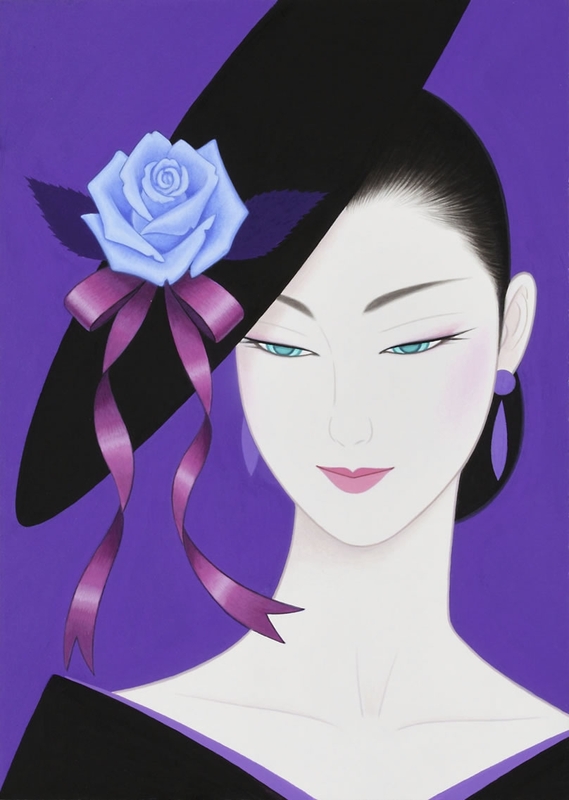 Ichiro Tsuruta* was born in Hondo-shi (current Amakusa-shi), Kumamoto. 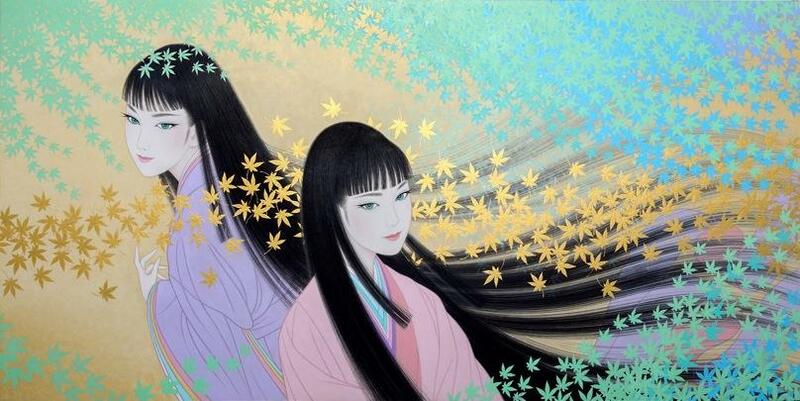 He grew up surrounded by rich nature of Amakusa area. 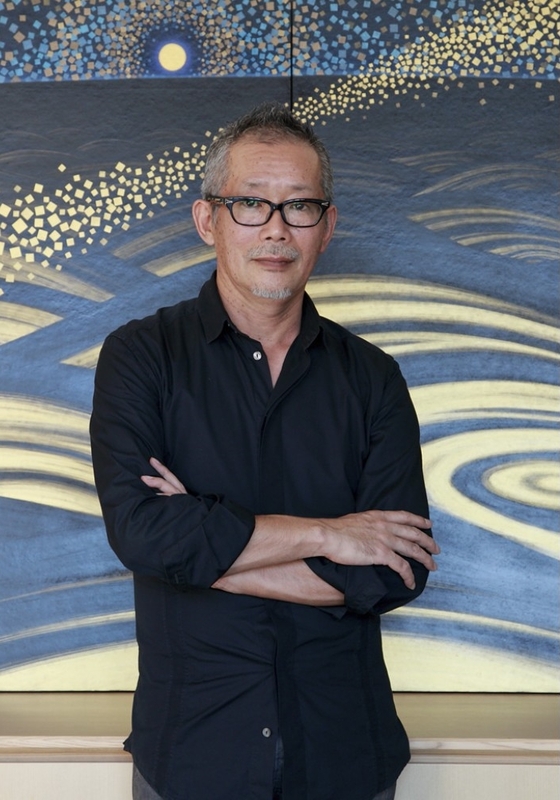 He has liked to paint since his childhood. 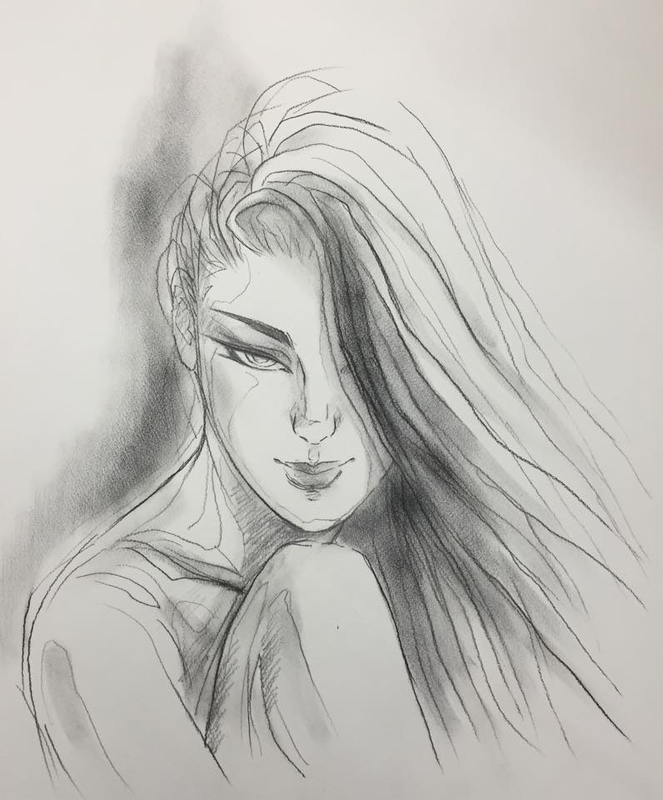 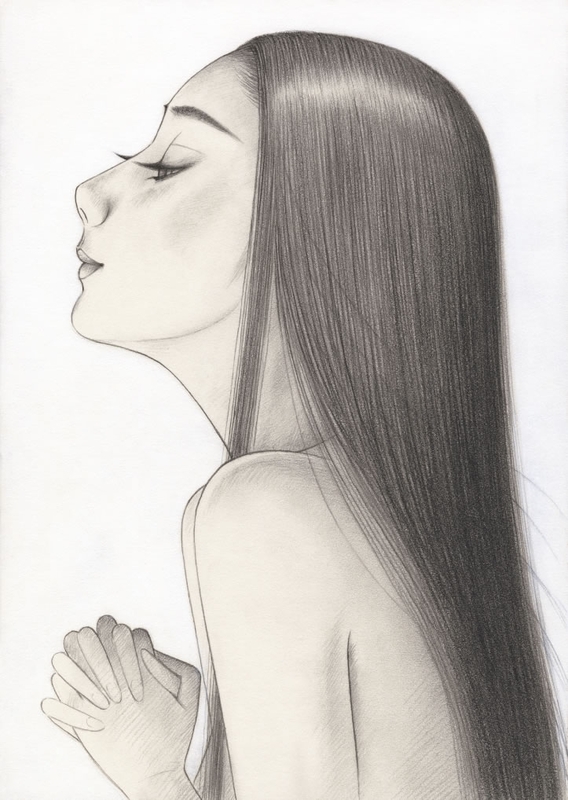 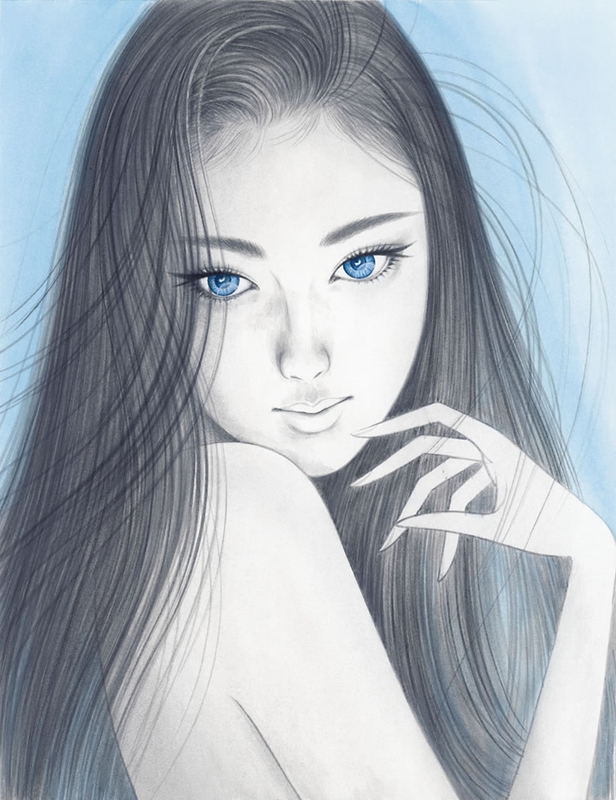 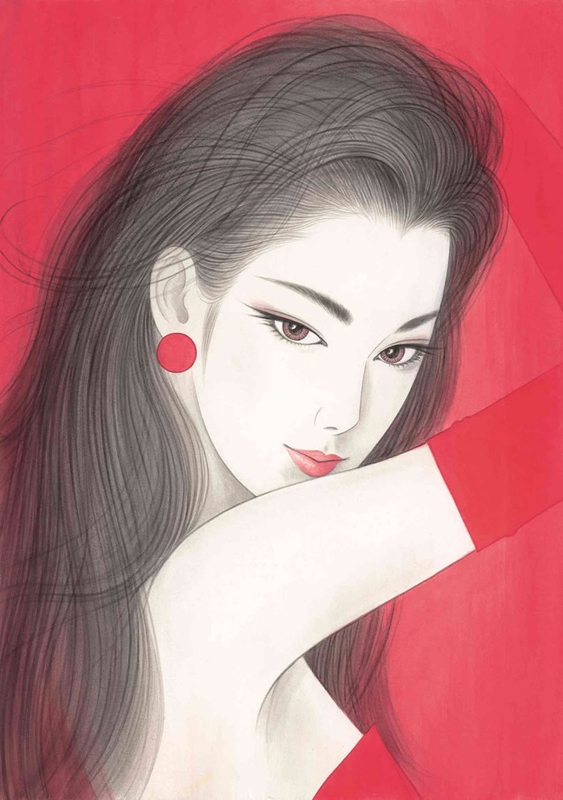 After graduating from high school, he entered Tama Art University, majored in graphic design and tried to become an illustrator. 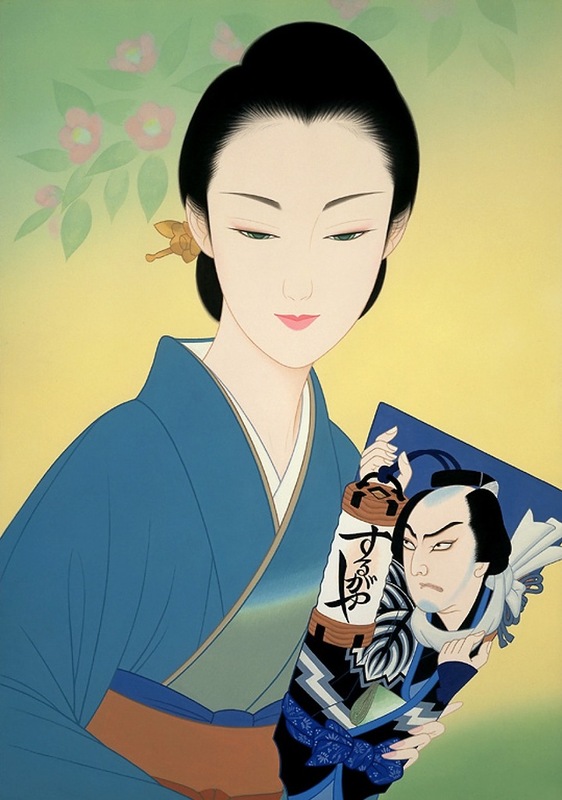 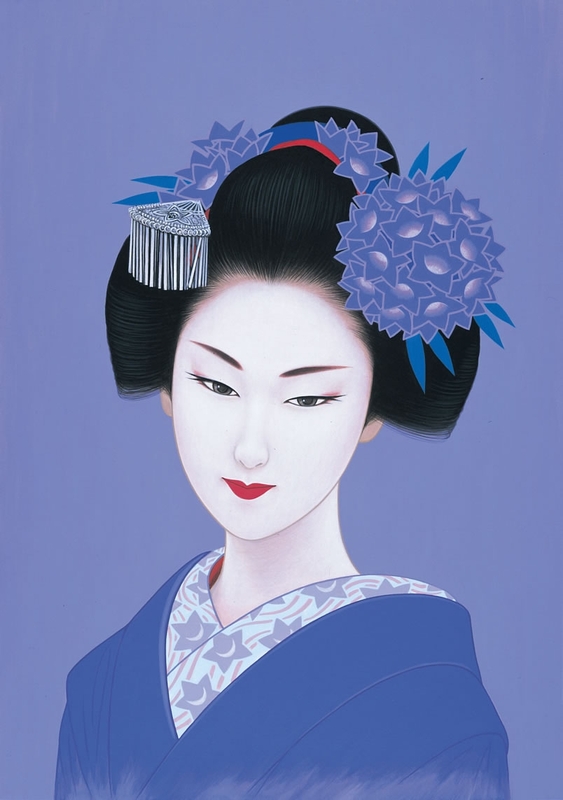 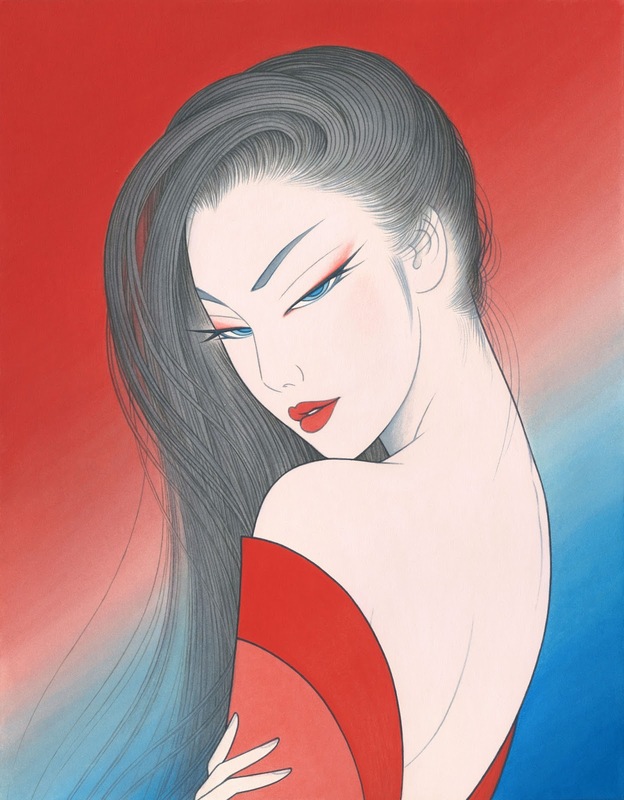 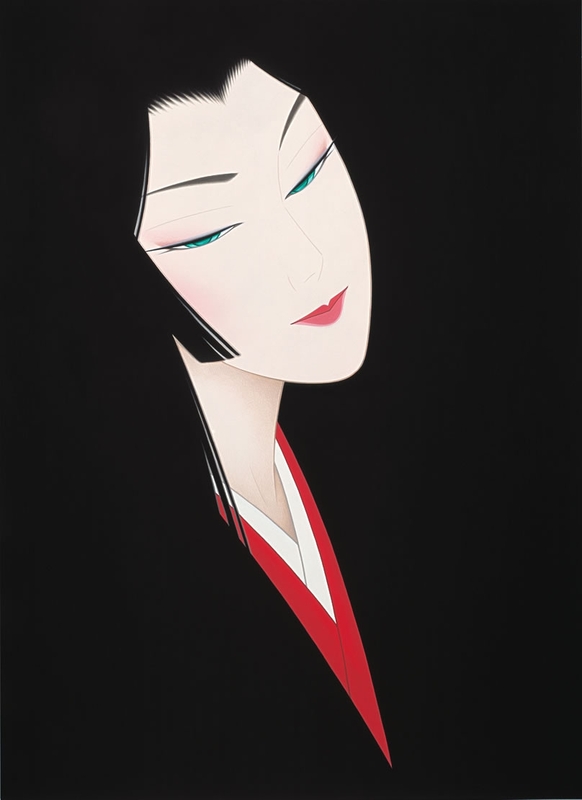 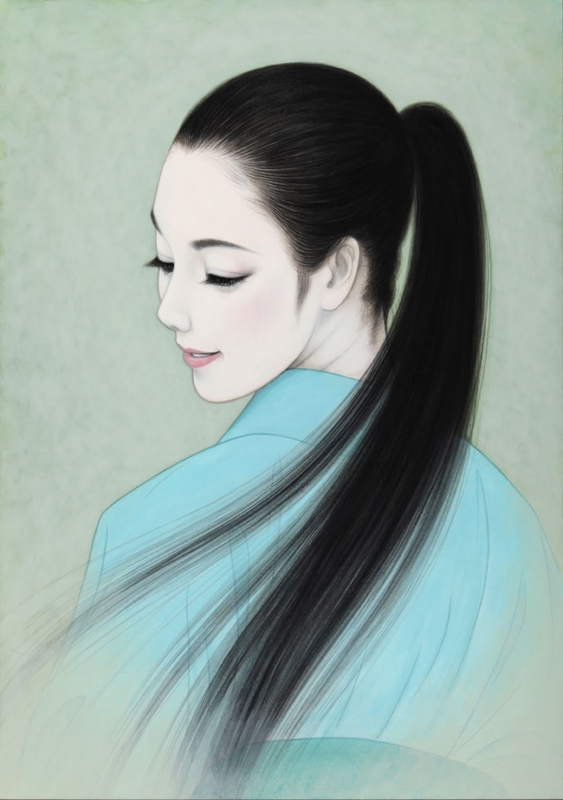 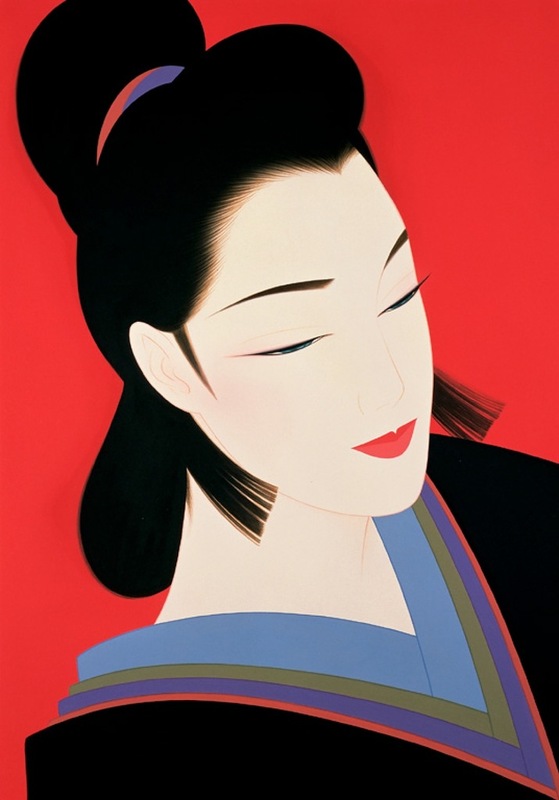 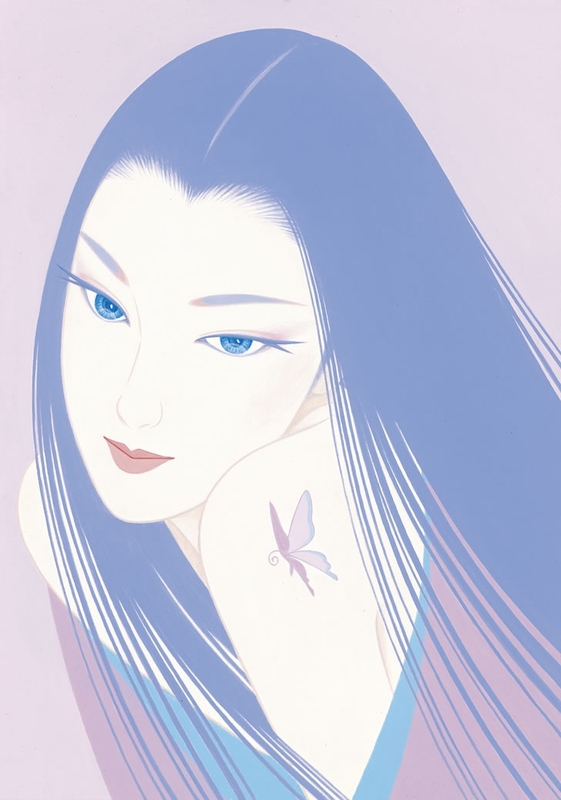 In early days when he started professional painting, as he painted realistic pictures influenced by Western culture, he began to be conscious that "he is Japanese" and gradually devoted himself to Japanese unique sense of beauty such as the Rimpa or Maitreya of Buddhism art and "Bijine (beautiful woman portraits)" or "Onnae (romantic painting)" of Ukiyoe prints. 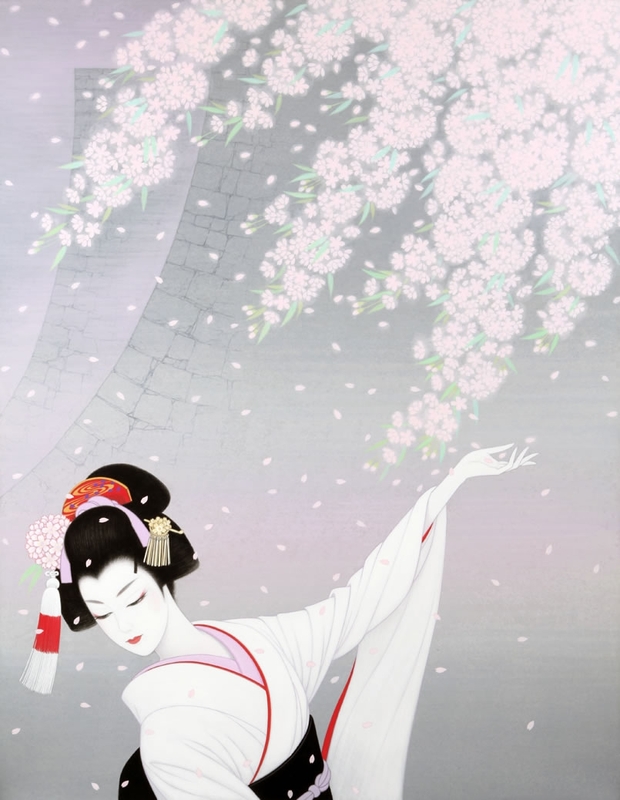 His Bijinga perfectly harmonize European elements of Art Déco* and Japanese essence inside him to create a graceful and gorgeous world. 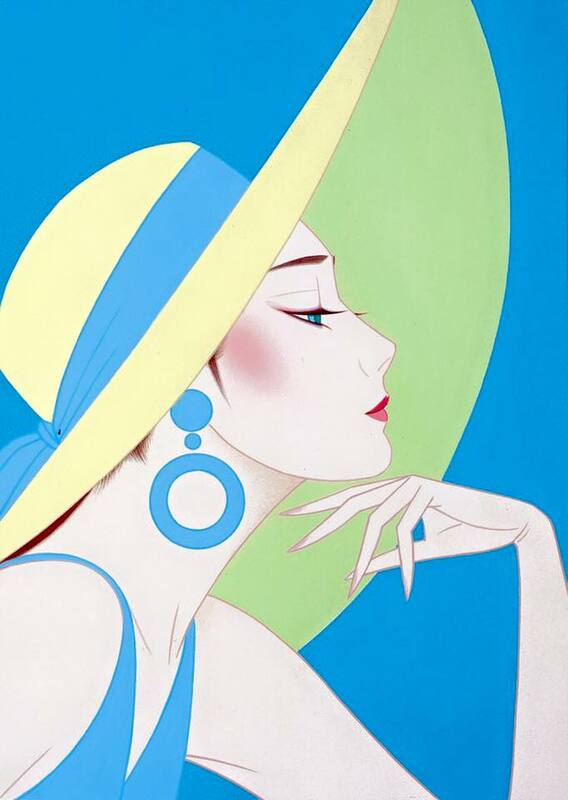 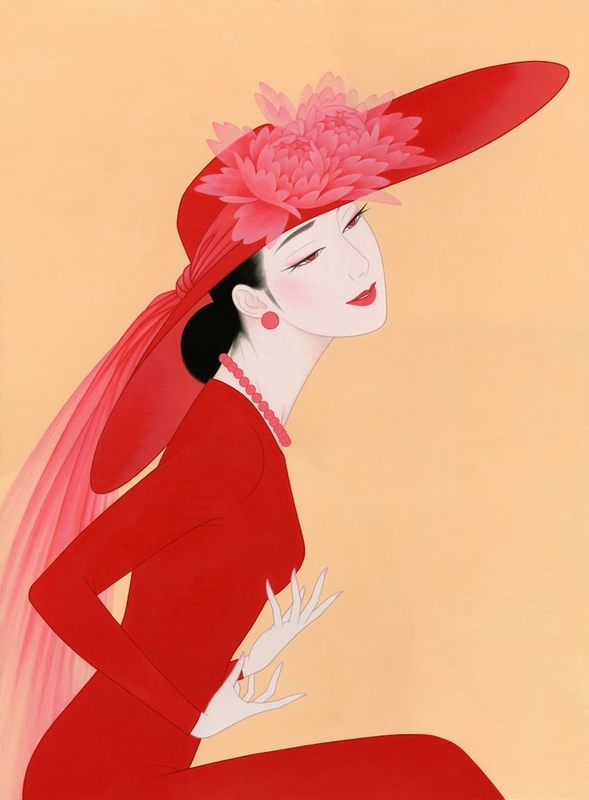 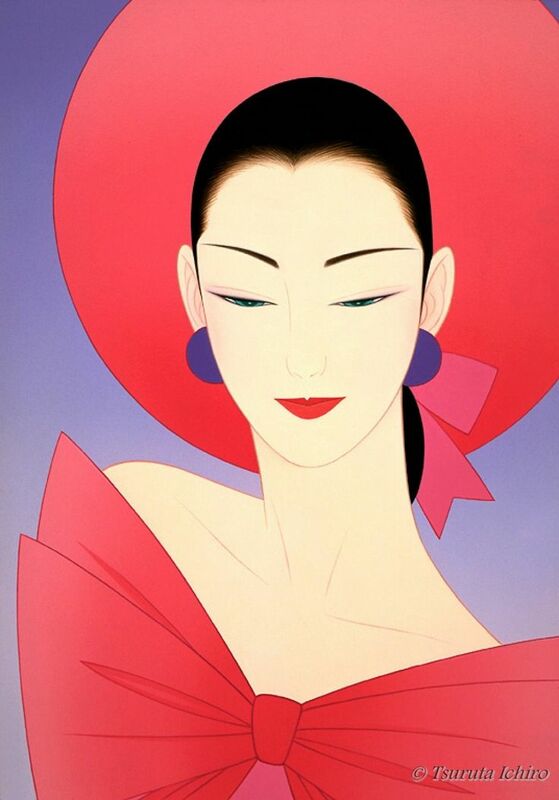 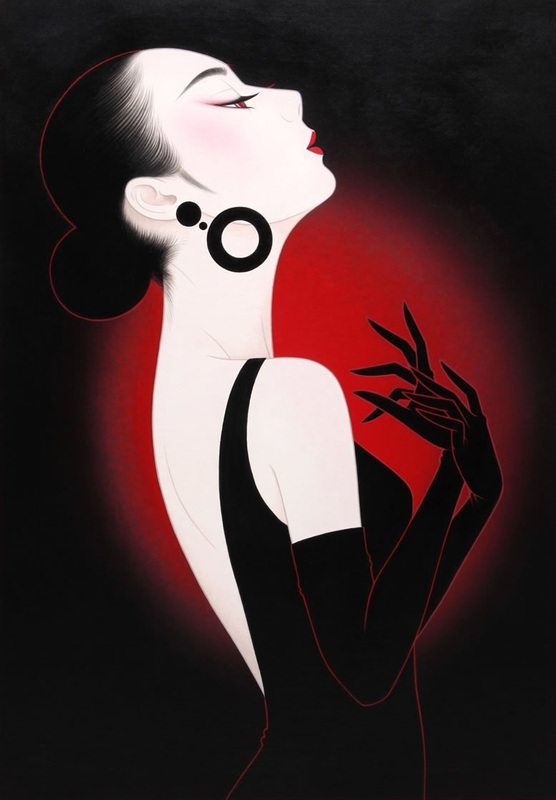 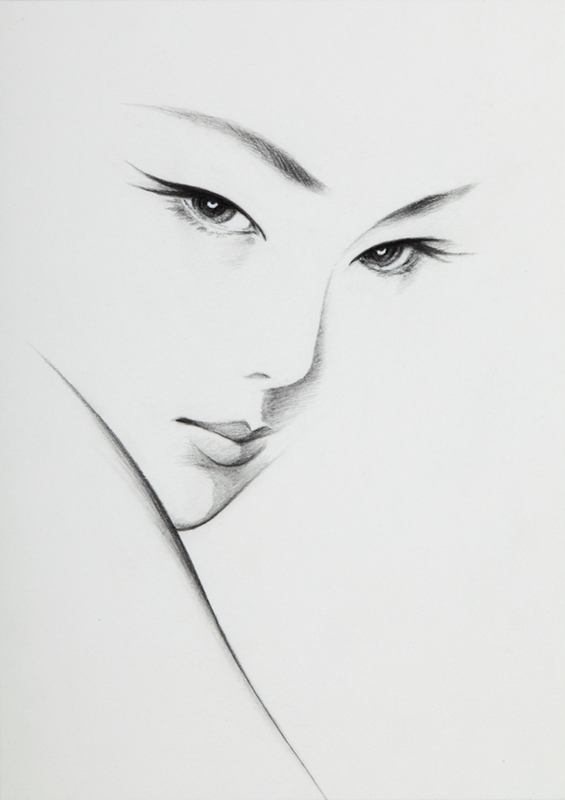 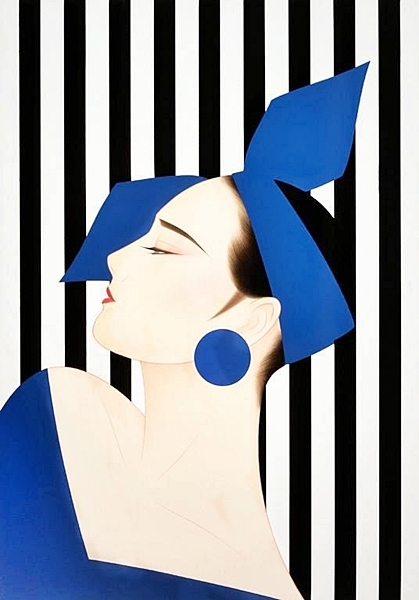 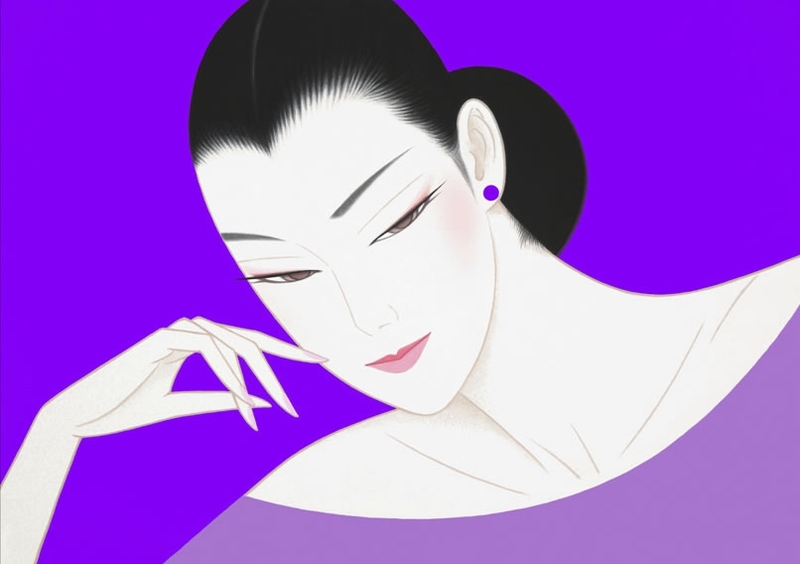 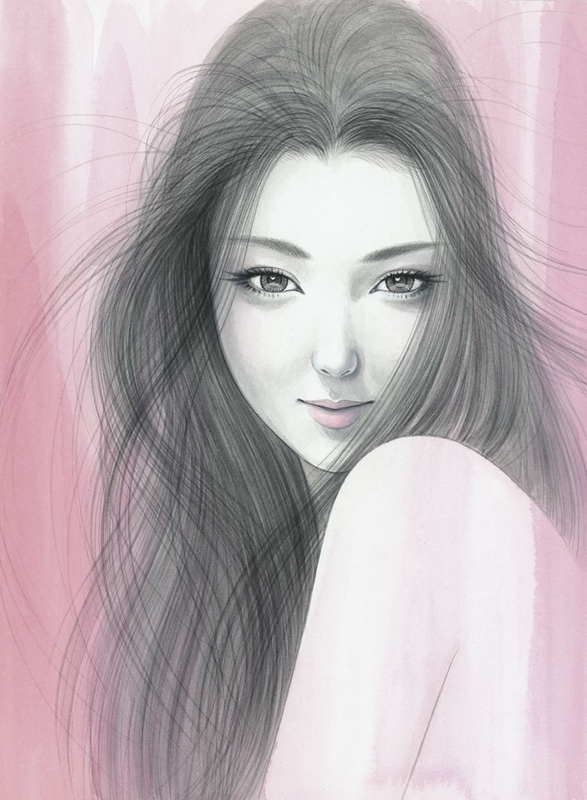 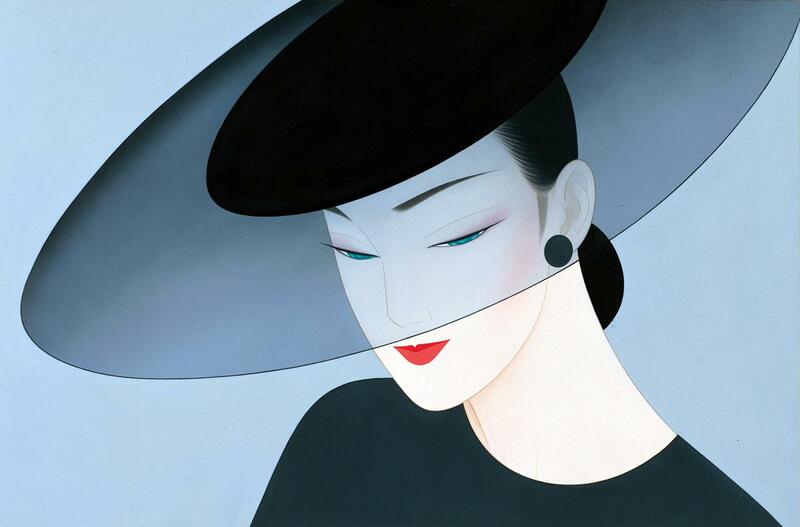 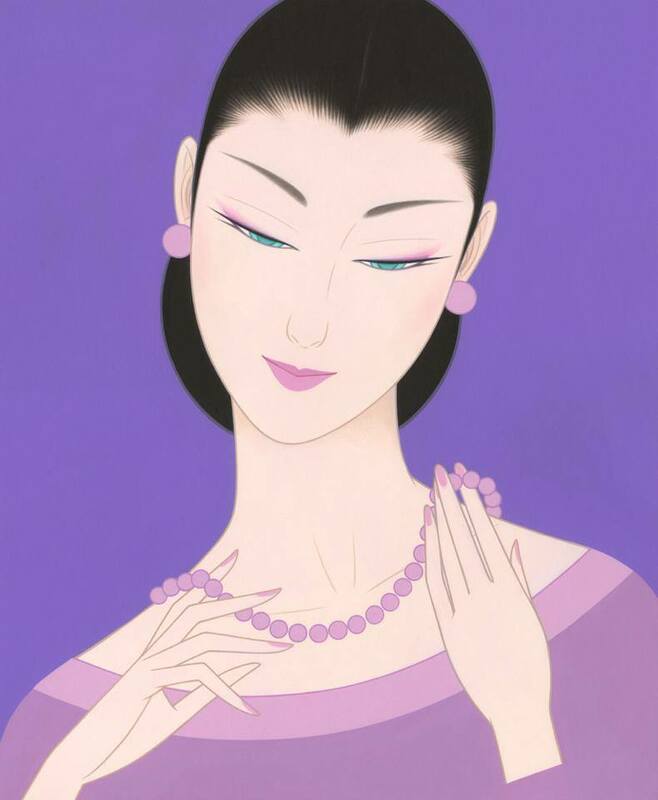 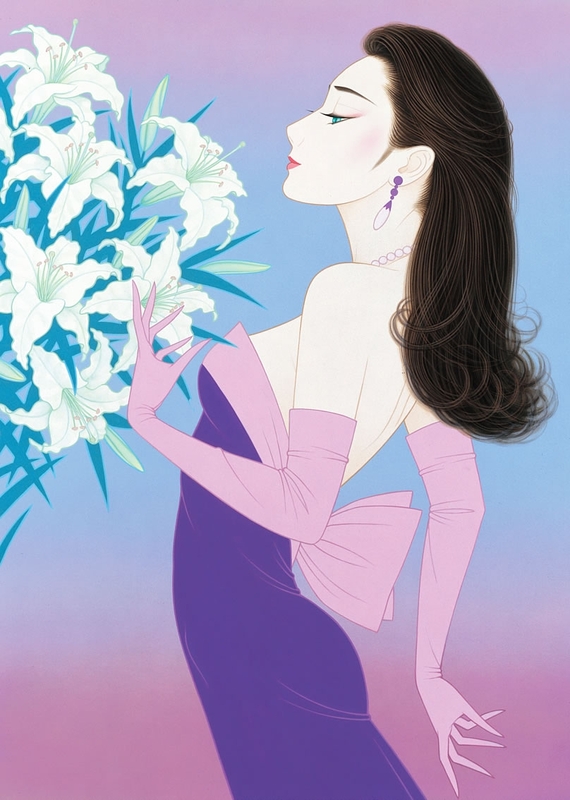 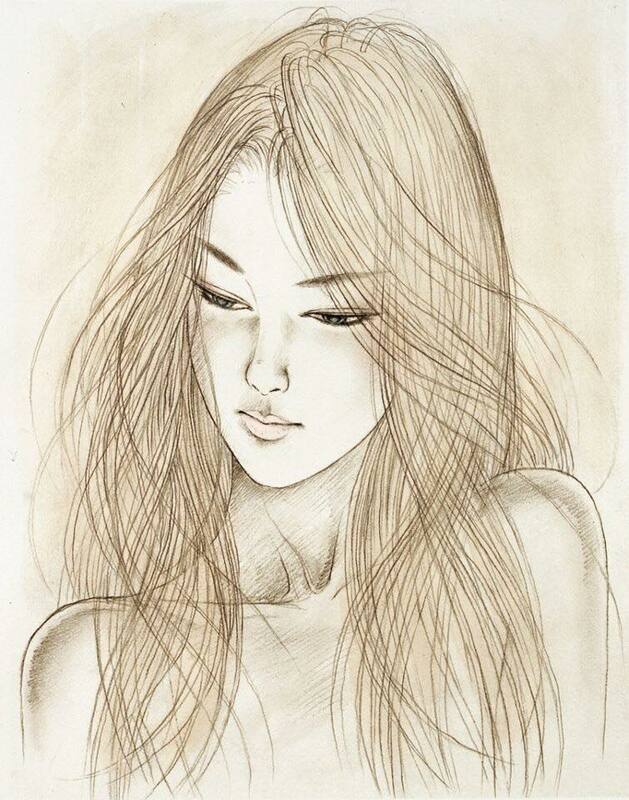 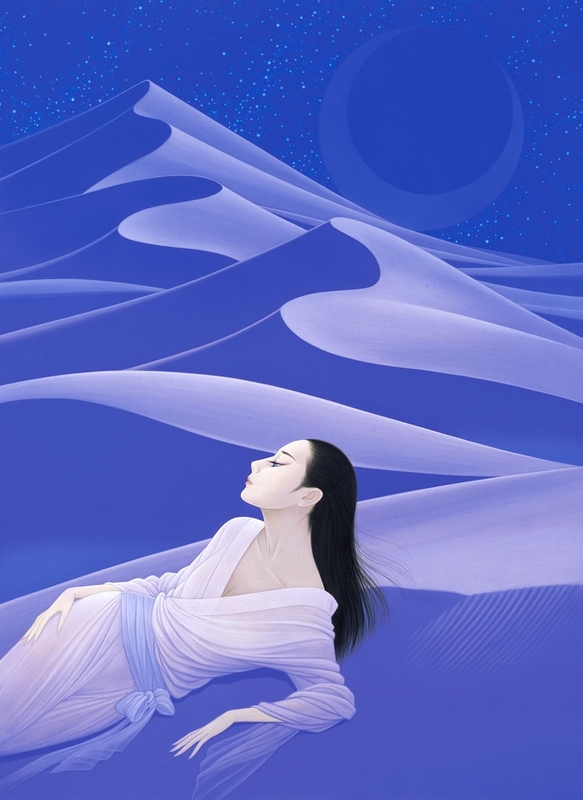 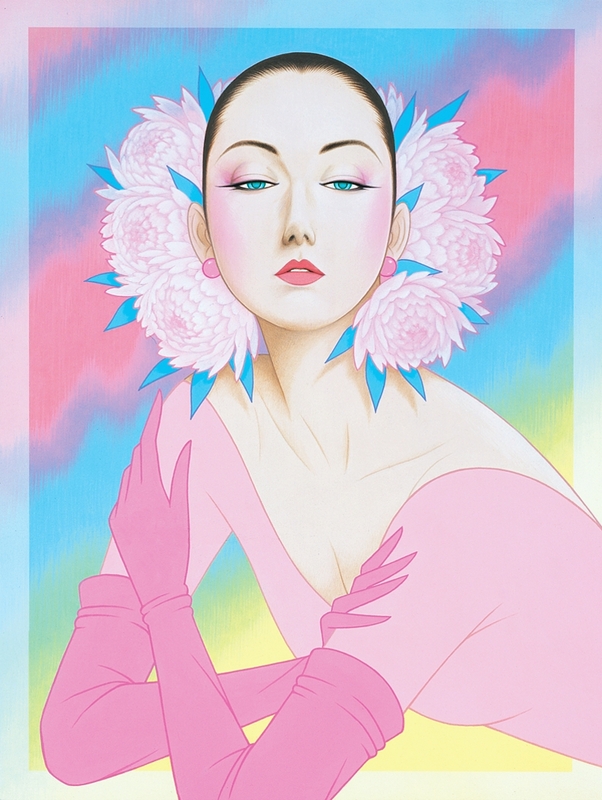 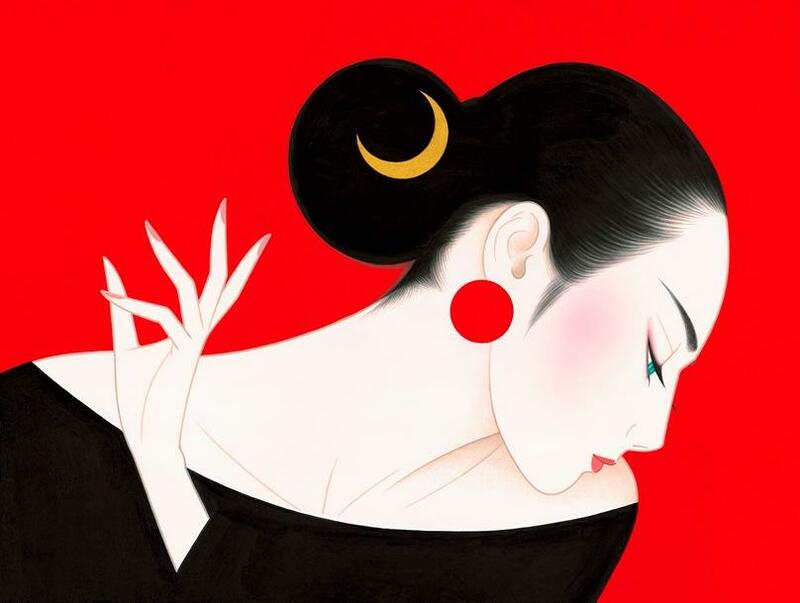 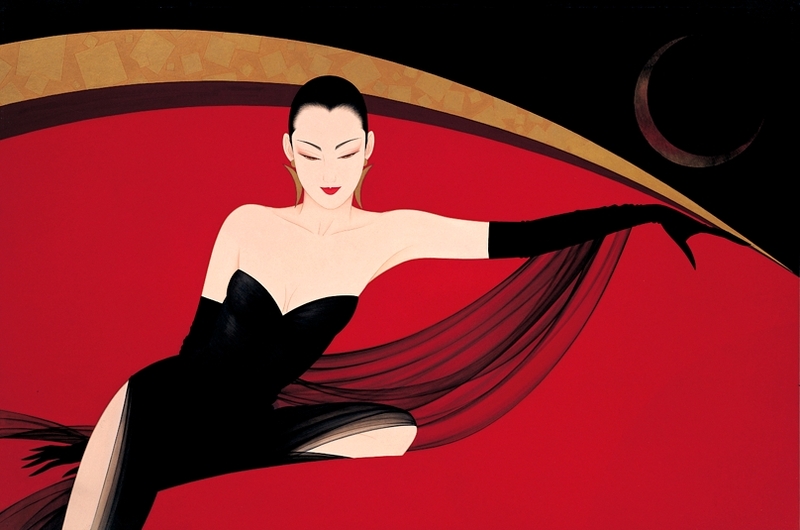 In 1987, Noevir selected his works for cosmetics advertisement. 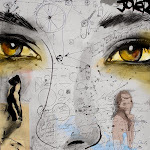 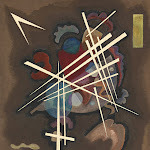 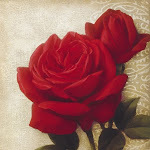 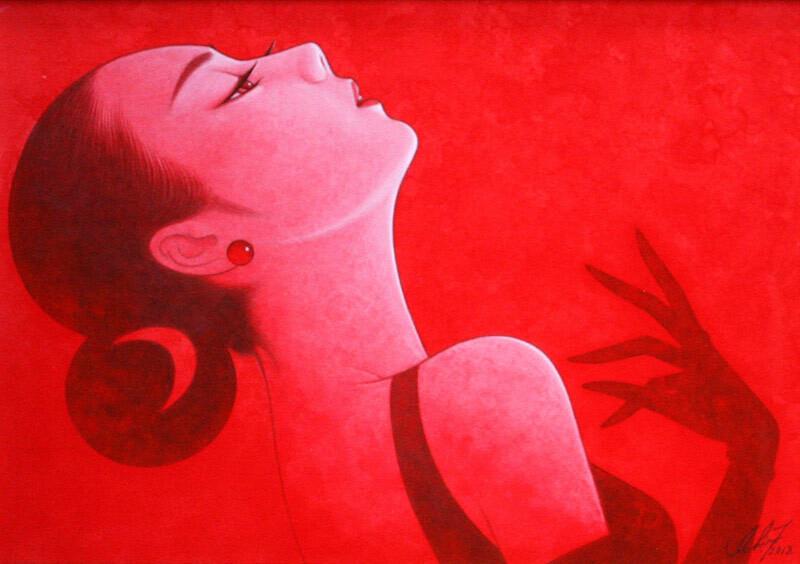 He has become popular as a pioneer of commercial art and women in his works have been keeping many people fascinated. 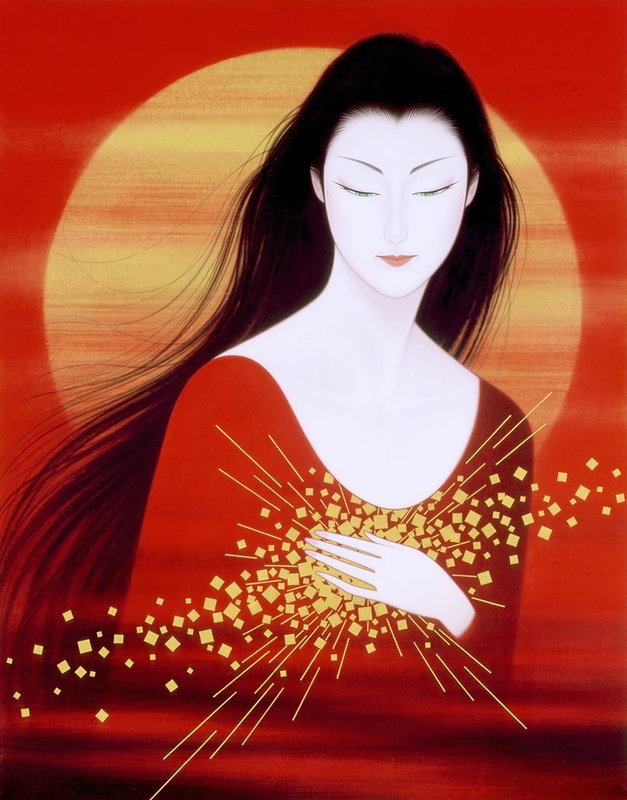 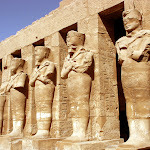 Like he says, "I think I want to paint the Muses of myself", it's his everlasting theme and origin of artistic activity. 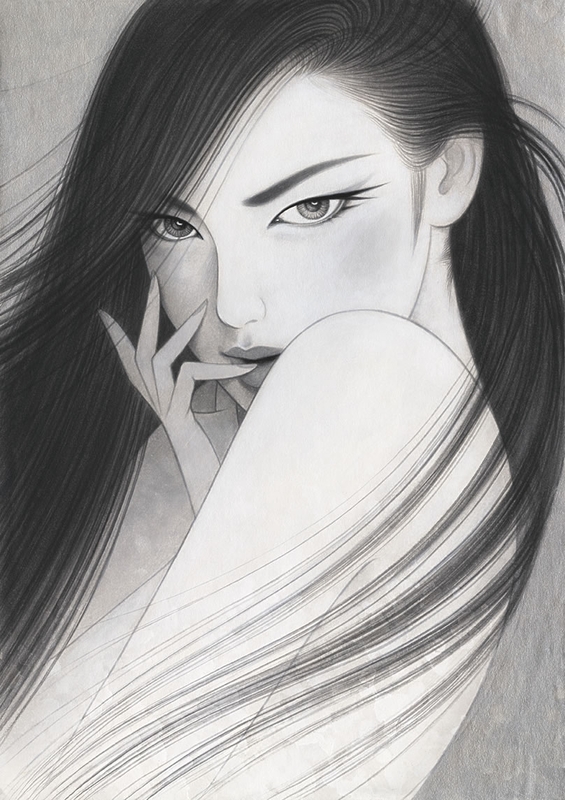 Then, in 2012, 30 years went by as he kept painting Bijinga and 35 years since he started to draw illustrations as a professional. 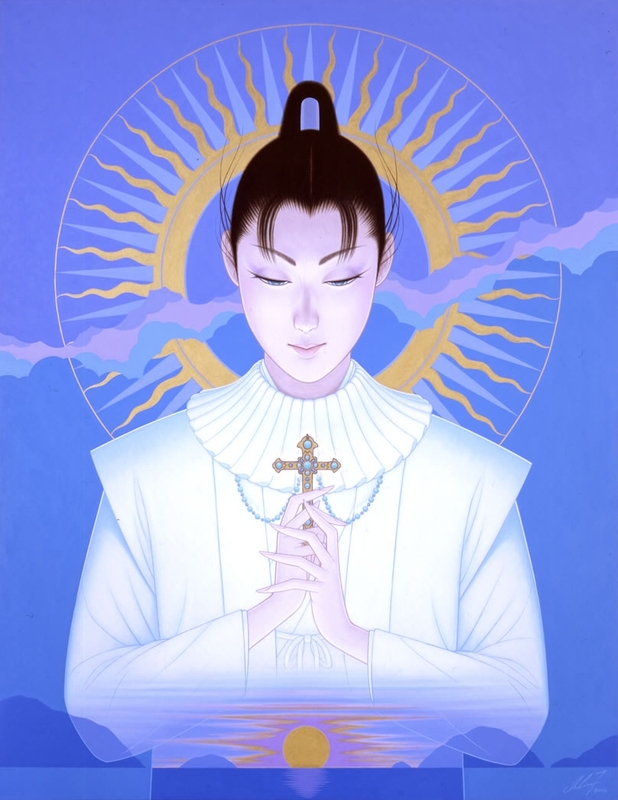 His sense of beauty and view of the world have been established and never change even now, but new techniques and imagination are about to show their expanses. 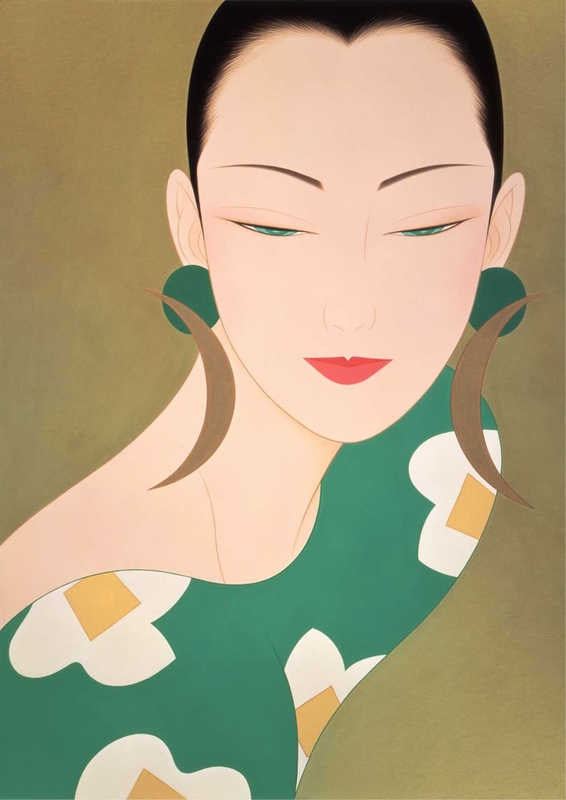 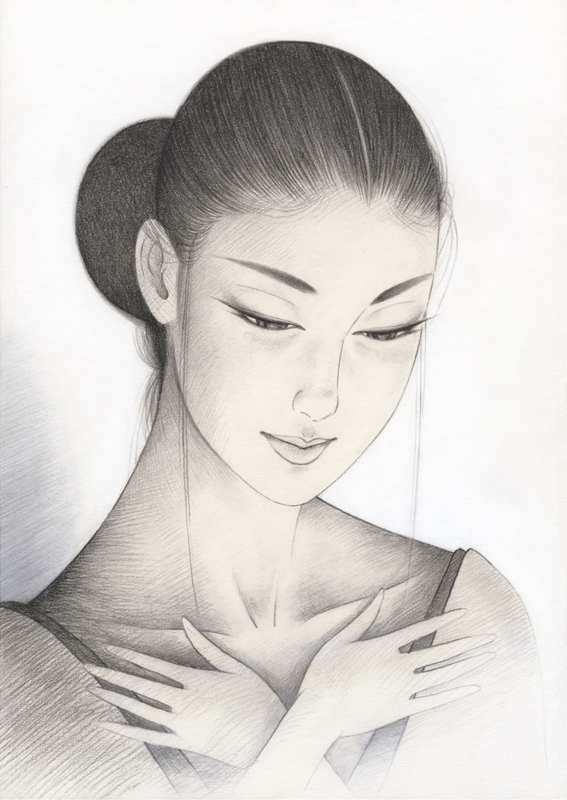 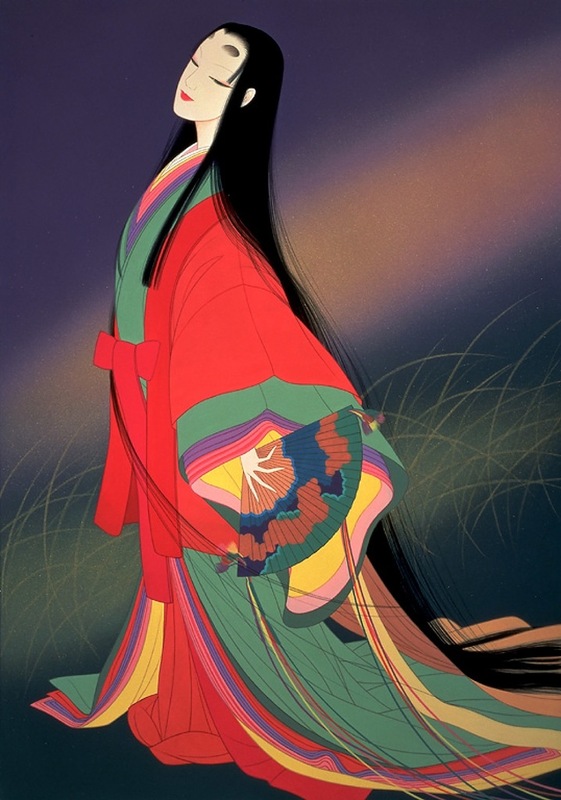 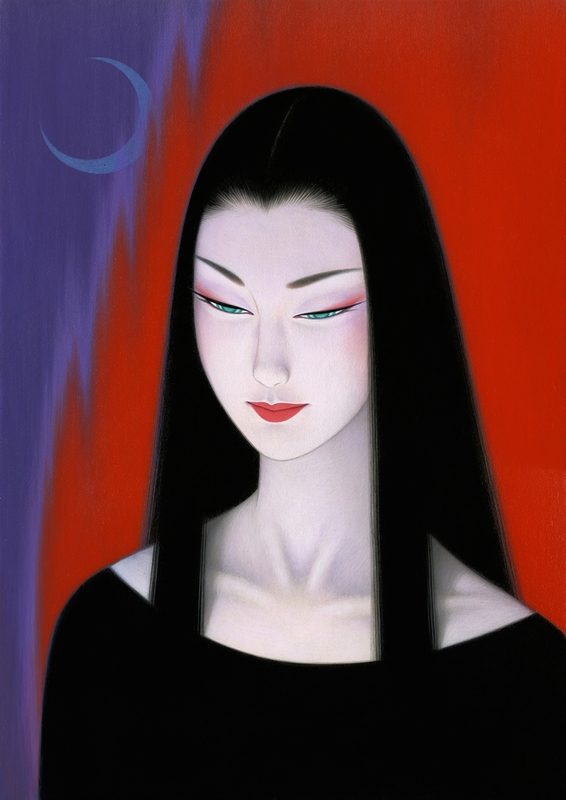 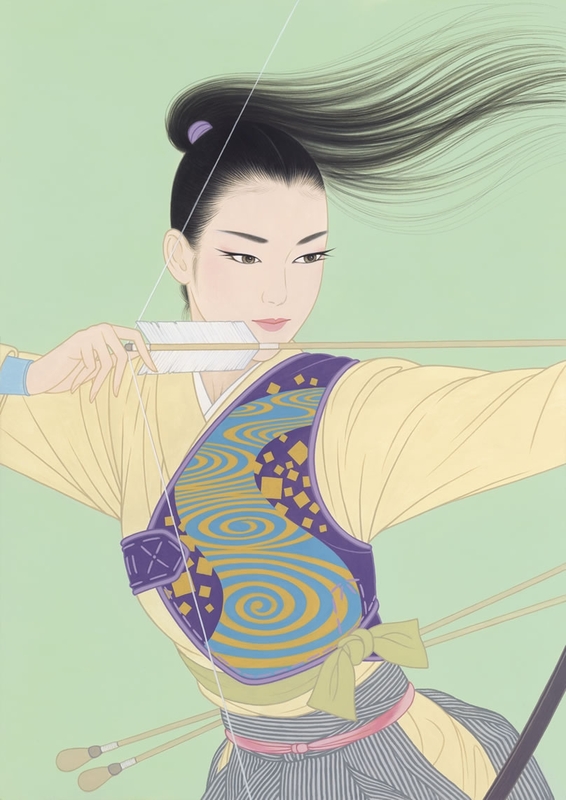 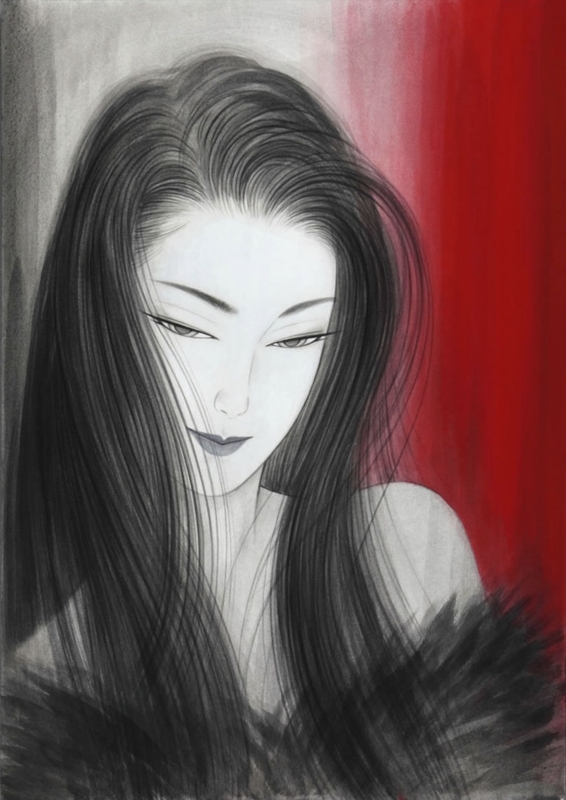 Ichiro Tsuruta* è un artista Giapponese nato nel 1954 nella città di Hondo nella prefettura di Kumamoto. 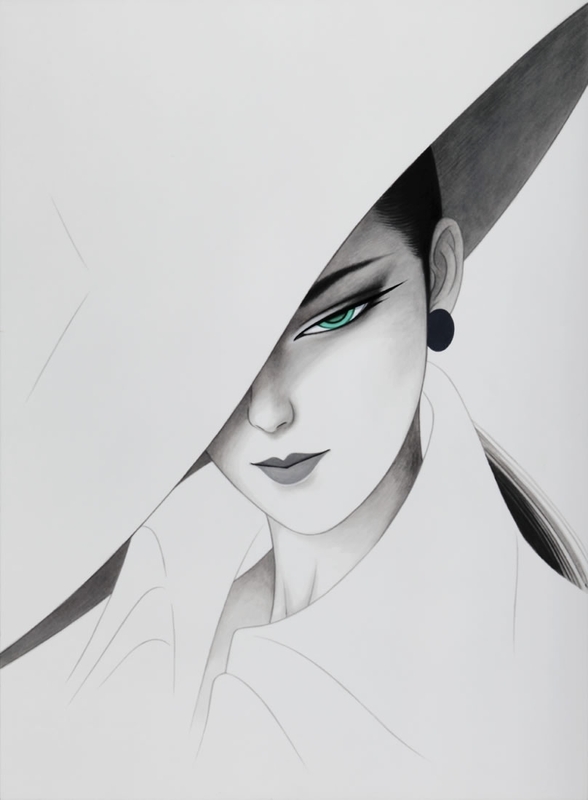 Dopo il diploma di scuola superiore, ha frequentato la Tama Art University con il sogno di diventare un illustratore professionista. 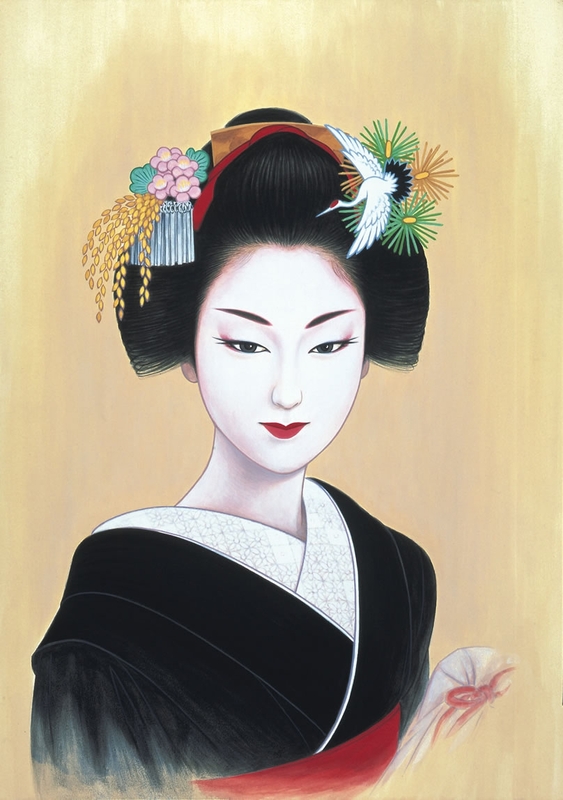 Influenzato dalle culture occidentali, ha prodotto inizialmente opere d'arte realistiche, quasi fotografiche, e solo in un secondo tempo si è interessato al concetto di bellezza nella tradizione giapponese: le sue donne, sono, infatti, il risultato della perfetta fusione dell'Art Déco* europea e la sensibilità giapponese; graziose e nello stesso tempo erotiche, le bellezze di Ichiro continuano ad affascinare e incantare molte persone.